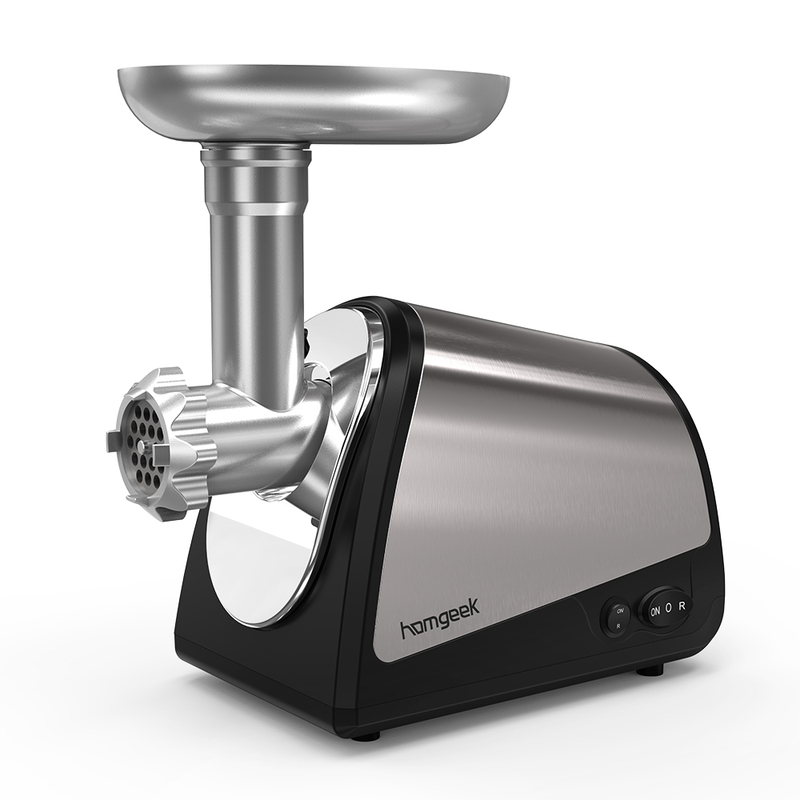 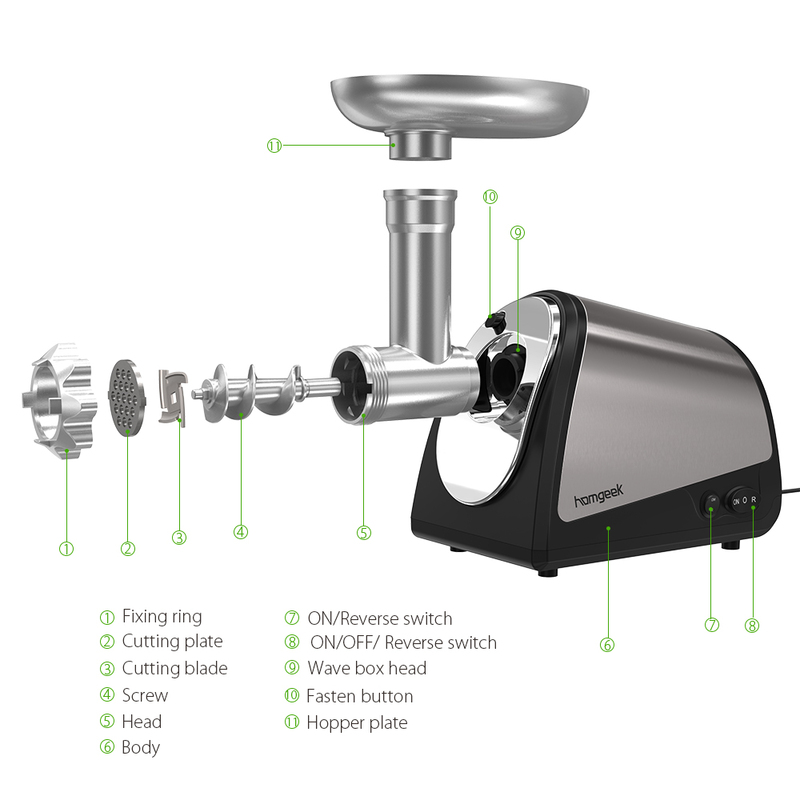 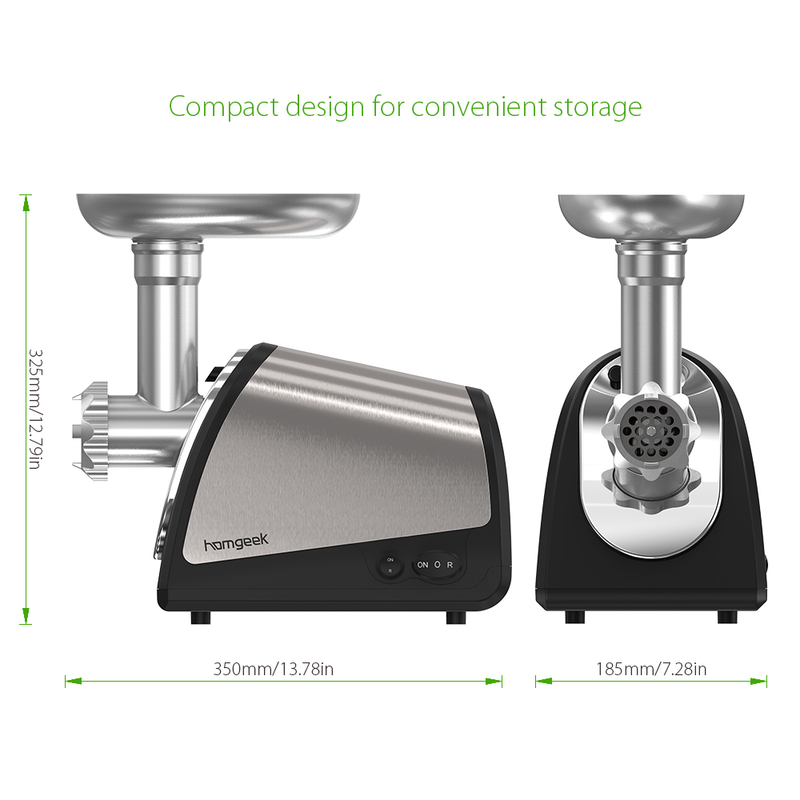 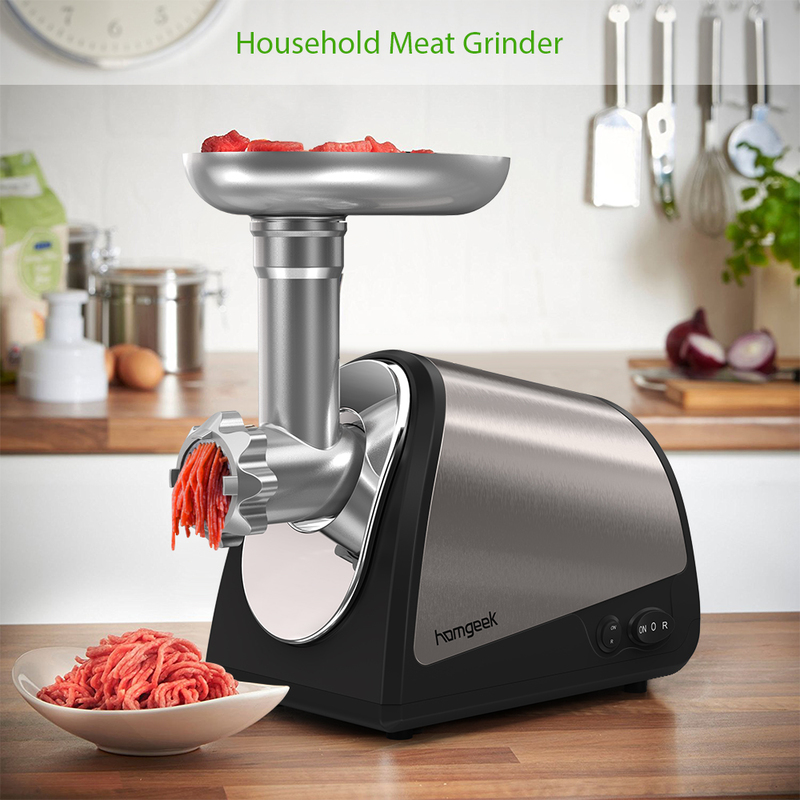 This Versatile & Multi-Function meat grinder can enable you to make more home-cooked meals for burgers, meatloaf or sausage. A cutlery-grade stainless steel cutting blade & three cutting plates produce coarse, medium and fine grinds of meat. This meat grinder adopts whole closed type gear drive, with reasonable structure, convenient operation, stable running, easy cleaning, etc. 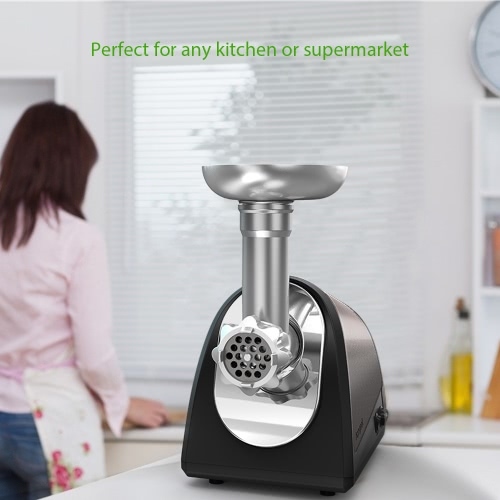 A healthier life starts from here. Powerful 1200W peak output (1.608HP)rated motor - full copper motor. 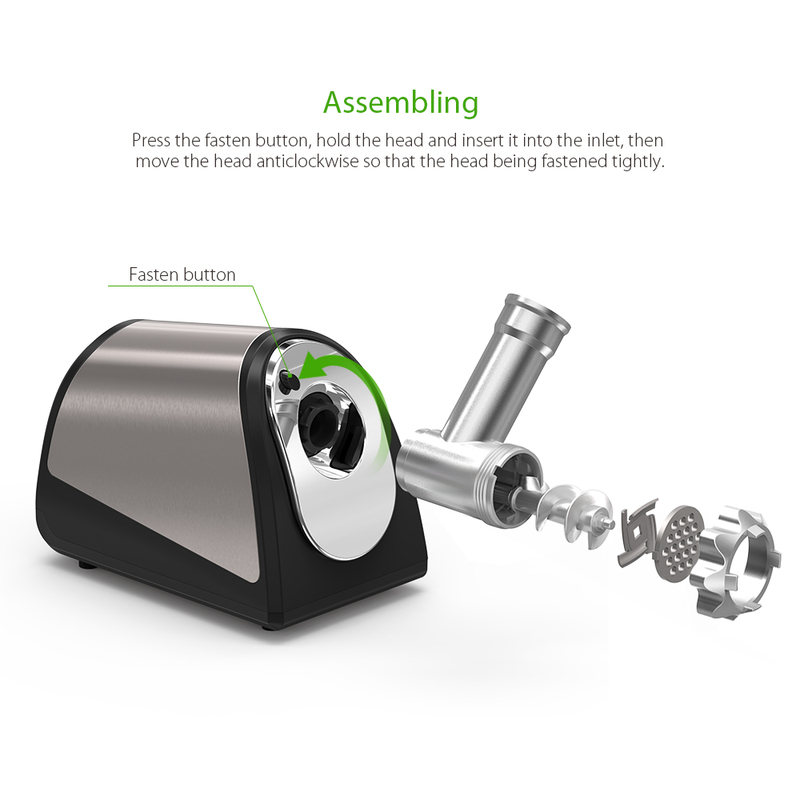 Aluminum Die-cast Feeding Hopper, Auger & Auger Housing. 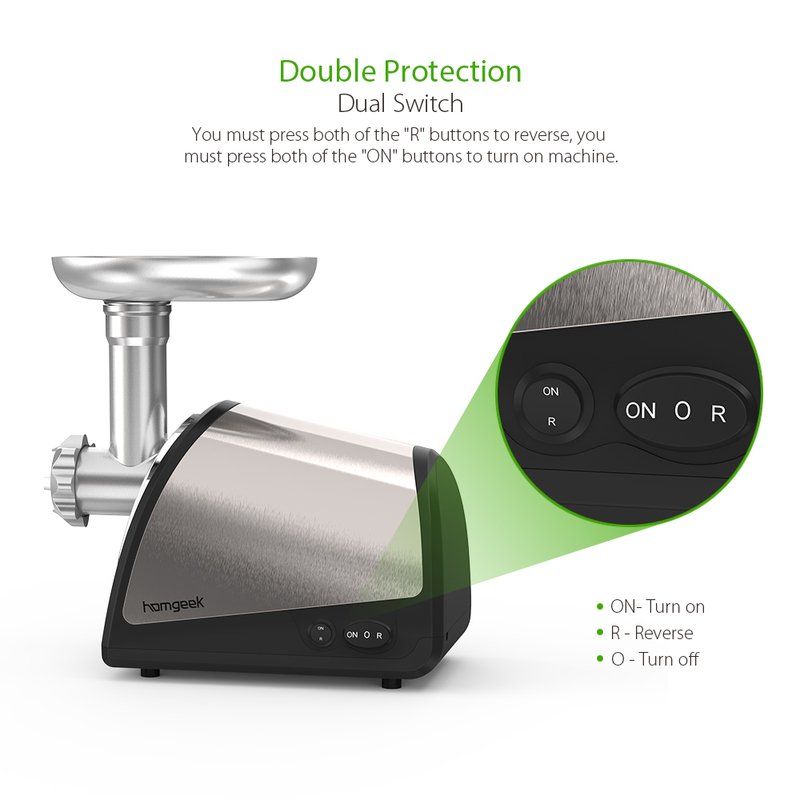 Electronic Stop, Reverse & Reset function. 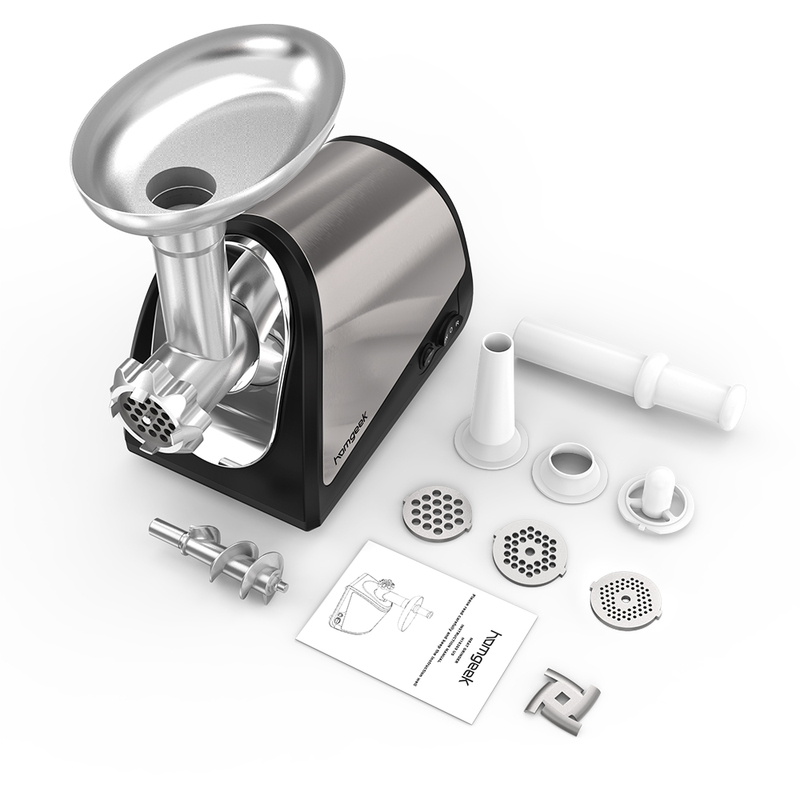 Grinder features output speed of 3.3-3.9 lbs per minute. Safety circuit breaker to prevent motor burn out. 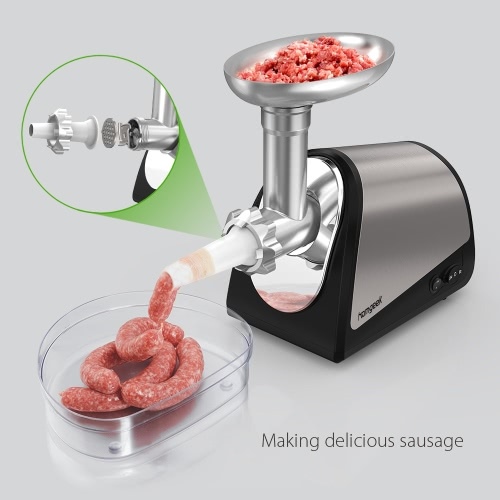 Diameter of Sausage Mouth: 19mm / 0.75"
Please Read The Manual Thoroughly Before Using The Meat Grinder.